Ronald Lewis Swihart 73 of Waldo, died late Saturday evening February 13, 2016 at the Marion General Hospital. Ron was a graduate of the Ohio State School for the Blind, he was a proud farmer, who loved being on the farm, working the ground. Ron was active member of St. Paul’s Lutheran Church in Waldo where he held many positions, most notably he served as Sunday School Superintendent for many years. He cherished his fishing trips to Canada with family and friends. Ron was very involved with his community he loved, Waldo. When he was able, he could be seen walking around the village, visiting various people and local businesses, checking in to see how everyone was doing. He had served several terms as village councilman. 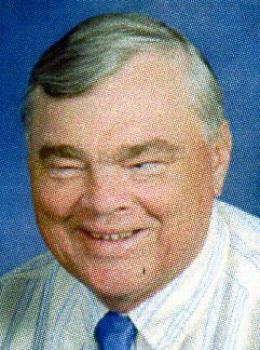 Ron was a member of the Eye to Eye Low Vision Support Group. Funeral services will be held Thursday February 18, 2016 at 11:00 am at the St. Paul’s Lutheran Church, Waldo, officiating will be Pastor Sarah Schaaf, burial will follow in the Waldo Cemetery, friends may call Wednesday from 4-6 pm at the Stofcheck-Ballinger Funeral Home in Prospect. Ron was a nice person. He was always cheerful and friendly when we would see him. Our hearts go out to Sue. His family is in our thoughts and prayers.